192 pp, illust. 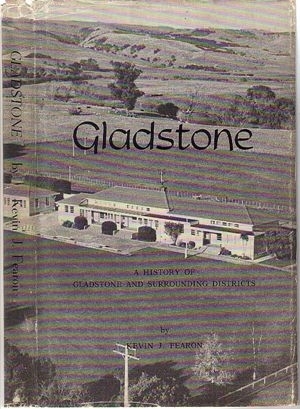 with b & w photographs, History of the Gladstone, Longbush, Te Whiti, & Maungaraki Schools and their districts, presented on the accasion of the Centennial Celebrations of the Gladstone School. Cover rubbed but pages bright & clear apart from minor soiling of edges. Owner's name on ffep. D/w has wear on flap hinges & spine, chips, creases and sm. tear at top of spine, minor creasing at top & bottom of d/w.